Verjuice (French verjus = green juice) is the juice of green grapes. It is used instead of lemon or vinegar as a flavour enhancing ingredient in cuisine. 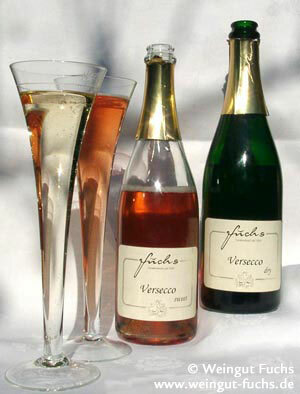 A dash of Verjuice makes soda fruity and tasty and its well tolerated acidity makes it a wonderful ingredient in cocktails. – as scrumptious as a good champagne! 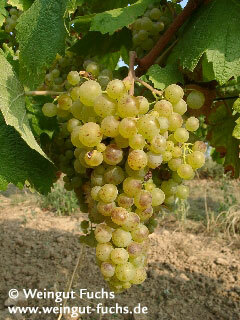 The grapes used to make Verjuice are harvested in summer, when they have not yet produced any sugar. Harvesting is manual work, so technical requirements are high while the output is small – but the delicious taste of Verjuice makes the process worth doing. Verjuice was well known in ancient Europe and during the Middle Ages as a delicious and healthy cooking ingredient as well as a powerful medicine. Ancient scientists such as Plinius the Elder, Cornelius Celsus and Dioscurides all described the healing, astringent and disinfecting effects of Verjuice (Lat. omphacium) on the mouth, throat and the entire digestive system. Verjuice continued to be a very popular cooking ingredient during the late Middle Ages, however when lemons became imported, Verjuice disappeared from European kitchens. The Medieval physicians of the Arabic World also worshiped Verjuice (Arabic: hisrim) as a healthy food and medicine. Our Huxel Verjuice has a mild, but full-bodied acidity and the very intense flavour of Huxel grapes. It is bottled pasteurised, whithout any additives.